We say goodbye to our young dancers tomorrow and in just 48 hours, the atmosphere of BDF will completely change. Our 13-18 year olds will be replaced by college students and professional artists. It would be easy, and a little expected, for outsiders to think that we are moving on from a smaller, younger, less important version of the festival to the “real deal.” But, reflecting on all that these young dancers have absorbed and accomplished in the last 21 days, it’s far from the truth. Within the field of dance, these teens were asked to step up, to challenge themselves, to try new things, to fail, to try again, to succeed. In the afternoons, Shakia Johnson challenged her classes with multiple hip-hop styles, and had her students moving constantly for 75 minutes, while Courtney D. Jones engaged her students with challenges of coordination and focus. 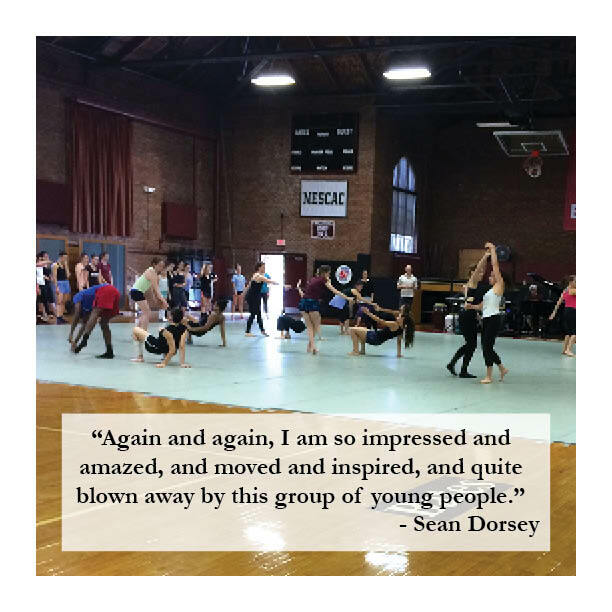 Sean Dorsey asked his repertory students to pour their hearts into the work, while Lida Winfield took her students on journeys and with each class they traveled a little closer to an answer to the question of who they really are. 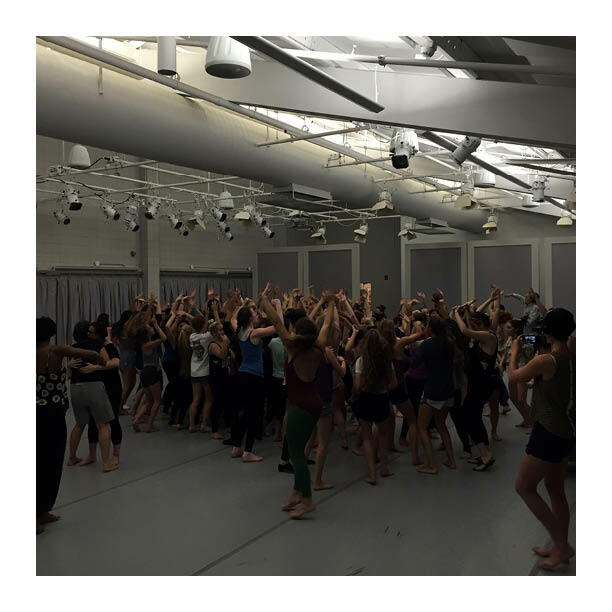 Aside from all the classes, the students were also choreographing their own work, dancing in work made by their friends and counselors, and thinking about topics of social justice and activism. On one of the free nights, Head Counselor Tristan Koepke screened “How to Survive a Plague,” a documentary about the AIDS epidemic in the 80’s and 90’s, and the efforts of activist group ACT UP. Due to the documentary’s link to Sean Dorsey’s upcoming show, “The Missing Generation,” Sean lead a discussion with the young dancers afterward. Despite the common response that they had not learned much about the epidemic in schools, the room pulsated with empathy and an understanding of injustice. Some people write teenagers off as self-absorbed and short-sighted, but there were over eighty young people in that room feeling the visceral grief for those lost generations ago, incredulous that anyone would think those individuals were less deserving of care and respect. The day following the screening, Shonach had a class discussion, which moved from the AIDS epidemic, to LGBTQA+ rights, to institutional racism, and beyond, proving that these teens don’t just engage in topics brought to them by mentors; they have passions of their own. The students taking Sean’s repertory class had the opportunity to learn choreography from “The Missing Generation.” On the first day of his class, Sean asked his students what they were apprehensive about, and most responded that they were worried about not being able to do the work justice. Sean said that the individuals he interviewed for his project are thrilled to know that young dancers learned about the history and embodied their stories for 3 weeks. “Again and again, I am so impressed and amazed, and moved and inspired, and quite blown away by this group of young people,” Sean said. These dancers have a lot to offer, both as movers and as citizens of a very troubled world. While their youth may limit our expectations of them, it also offers them the opportunity to continually surprise and impress us with their engagement and automatic understanding of larger world issues. Lida Winfield, who teaches Improvisation & Composition, has worked extensively with this age group in a variety of settings. She said she believes this generation, in particular, understands that the world is a mess. At a time of their lives when they could have spent an entire summer sitting by the public pool by day, and watching Netflix by night, the Young Dancers clocked in a serious number of hours actively participating in art. 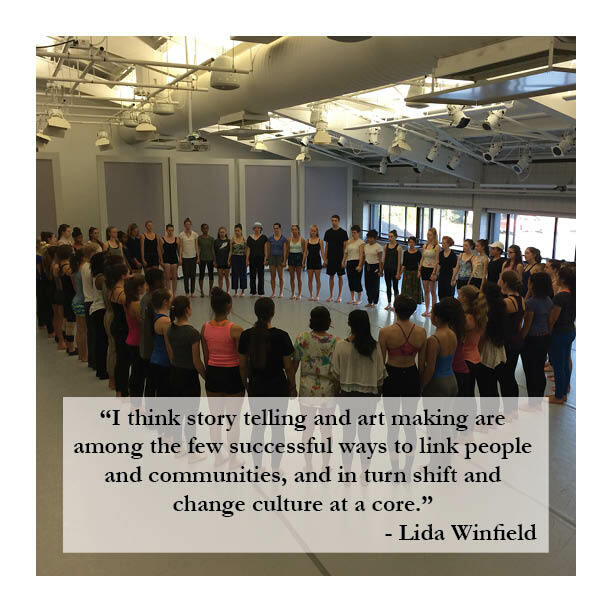 Lida’s class, which incorporated improvisational exercises and offered the students tools for composition, focused on one’s self and the telling of true stories. Believing in the power of looking inward to then see outward, Lida asked her students who they were, who they wish to be, and what kind of artist they wish to be. Lida also commented on how many students, despite years and years of technical training, had never been asked how they preferred to move. This is a time for them to figure out who they are, through dance and through discussion of real world events, and the Young Dancers Workshop provides a place for both to happen at the same time.